To many people around the world, salt is just a substance that makes food taste better. But to the Japanese, it’s deeply symbolic, an indispensable part of death rituals that imparts purification of the body and soul. 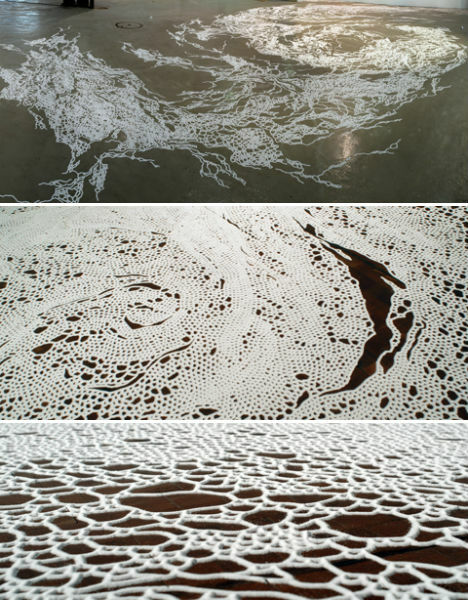 Artist Motoi Yamamoto draws upon the role of salt in his culture, using it as a art medium that he painstakingly packs into sculptures or squeezes into intricate drawings. 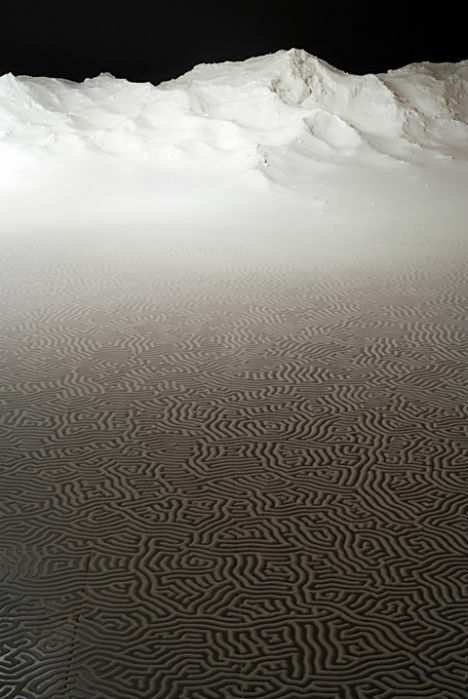 The artist aims to confront viewers with the reality of death, in the form of stark white installations that mimic trailing vines, networks of neural nerves and endless paths of pure sand or snow. 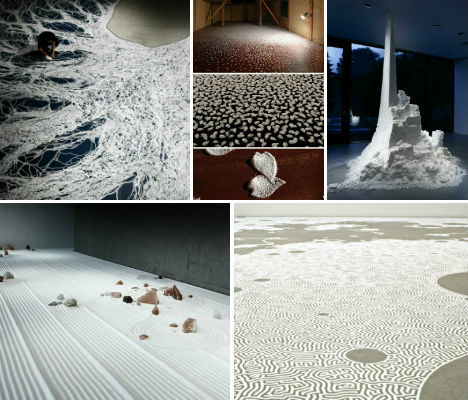 Here are 23 photos and 2 videos of 12 of Yamamoto’s most stunning salt artworks. 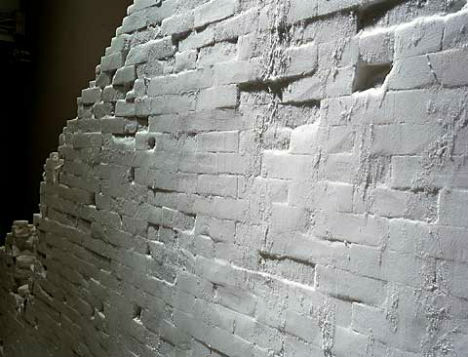 Yamamoto began working with salt as an art medium after his sister’s death from brain cancer at 24 years old. 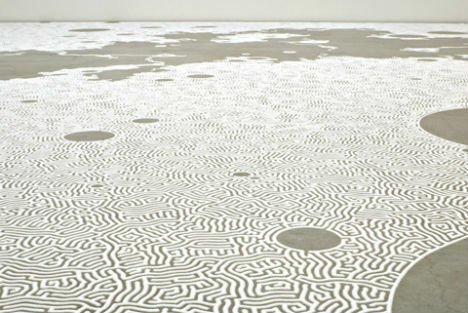 Many of his works, including the ‘Floating Garden‘ series, resemble microscopic imagery of the brain. 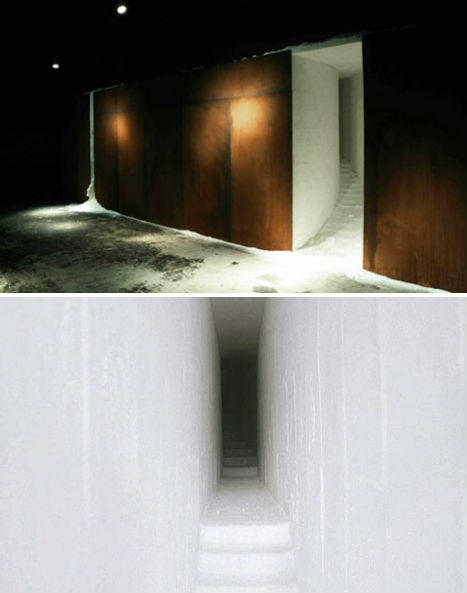 The artist packed salt into a tall, narrow staircase for the work ‘Utsusemi’. 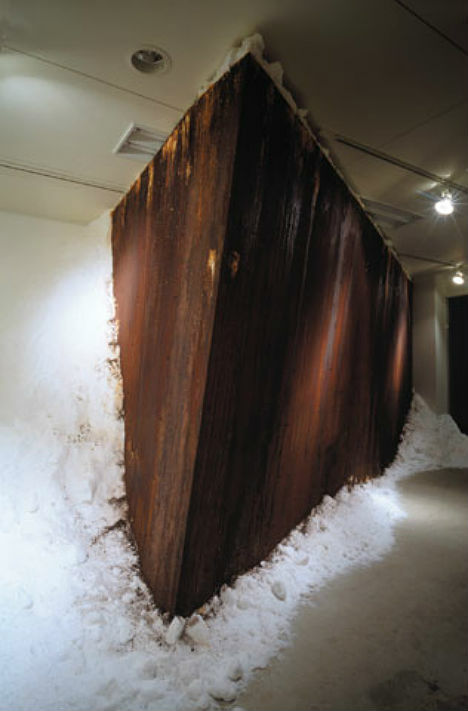 Giving in to the natural processes of destruction and decay, Yamamoto allows the salt to crumble over time, often intentionally leaving the sculptures out in the rain so they can melt, changing with exposure to the elements until they dissipate altogether. One of his most incredibly complex works, ‘Forest of Beyond’ was created for the one-year anniversary of the earthquake and tsunami that devastated Japan in 2011. 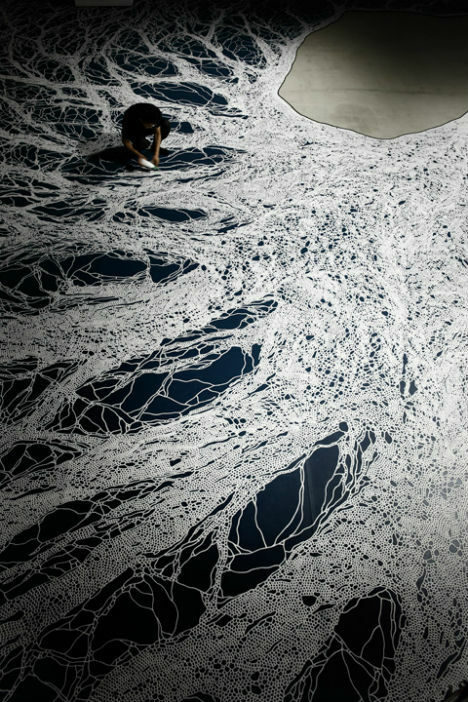 Currently on display at the Hakone Open Air Museum, ‘Forest of Beyond’ resembles the roots of a tree. 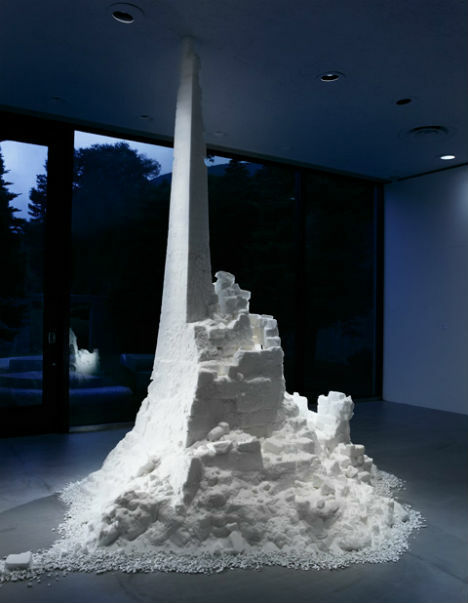 An 11-foot-tall ‘skyscraper’ made of salt, ‘Forest of the Skyscraper’ is another work that was allowed to crumble, thus changing significantly between its initial creation and its removal from the gallery. 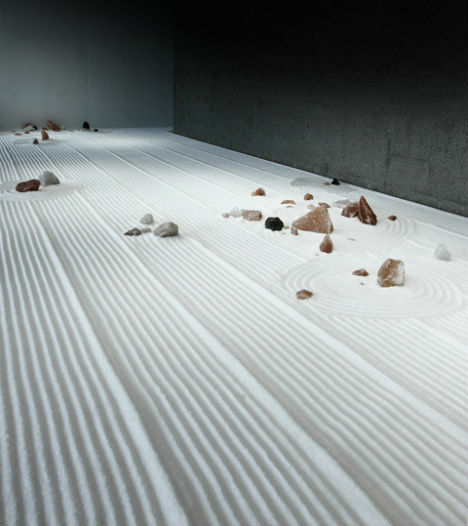 Connecting the role of salt in Japanese culture to the art and meditative act of sand gardening, ‘Forest of This World‘ was installed at the Hakone Open-Air Museum in Kanagawa from July 2011 to March 2012. 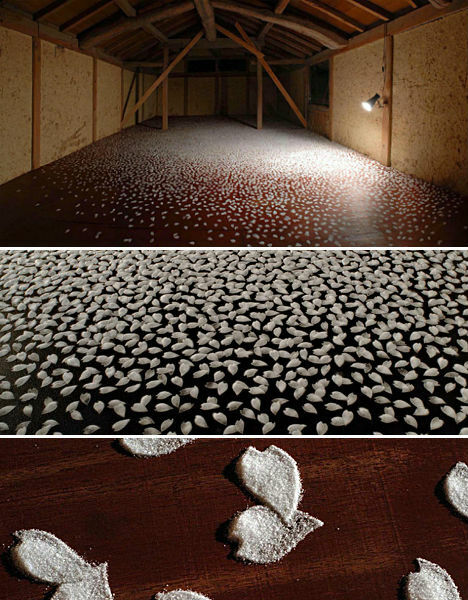 The petals of cherry blossoms are perfectly rendered in Yamamoto’s series ‘Sakura‘. Looking as if they just fell from a tree, the petals are layered in such a way that they look amazingly three-dimensional and realistic. 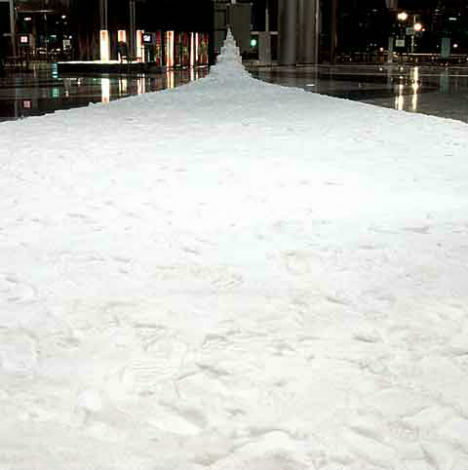 Among Yamamoto’s earliest salt art works is ‘Room‘, an installation at 300days Gallery in Tokyo in September 2000. 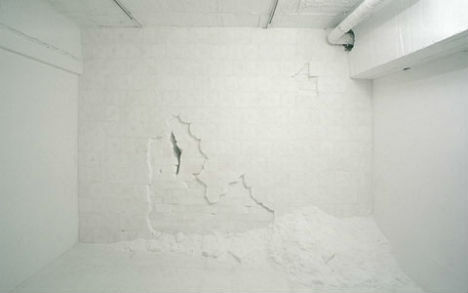 The pure whiteness of the salt applied to the far wall of the gallery blends into the rest of the room, making it look as if the space is beginning to fall apart. 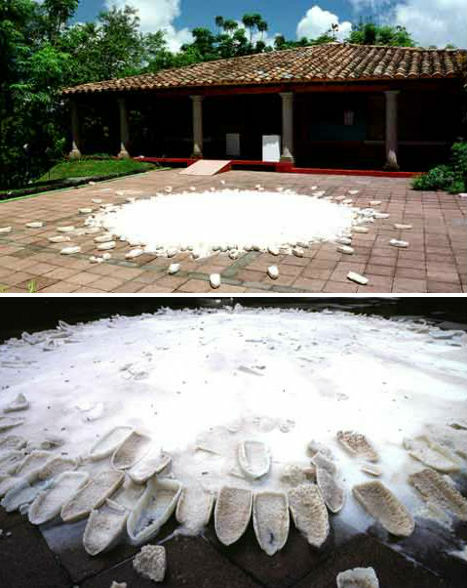 Cast boat forms float outward in a circle in ‘Fountain of Remembrance’, an outdoor installation at the Garden of the Sculptures in Veracruz, Mexico. 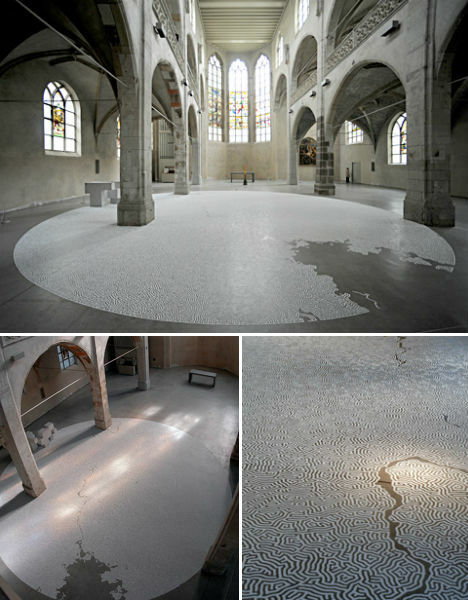 The installation was captured both before and after a rain that dissolved much of the salt. 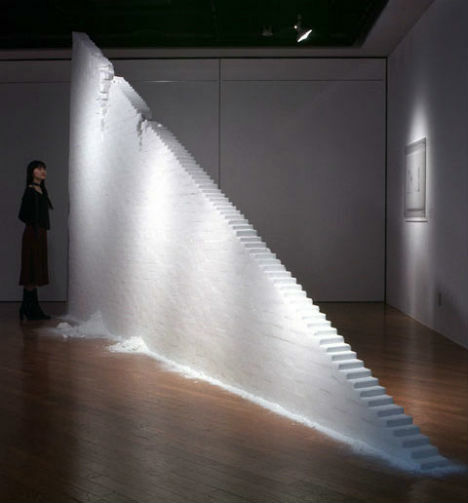 ‘Wedge’ was an installation at the Telecom Center in Tokyo that looked like a path of snow, starting at the front door and ascending up a staircase.